Every picture tells a story, and at the foundation of every bridge there is a saga. Our Flickr collection of photos and videos tells many stories – there are albums about bridge and highway projects, awards, educational events and community projects. We went through our albums and picked out some of the best bridge photos to share with you for National Engineering and Geoscience Month. Click on each heading below, and you’ll be transported to a Flickr album, for more fascinating photos and facts to fill out the tale. This crew working on the Salmon River Bridge looks like they could be inside the belly of a giant salmon! They are pouring concrete for the bridge’s south abutment. The orange tarp covering the area was used to hoard the heat (and keep out frost at night) to ensure the concrete set correctly. 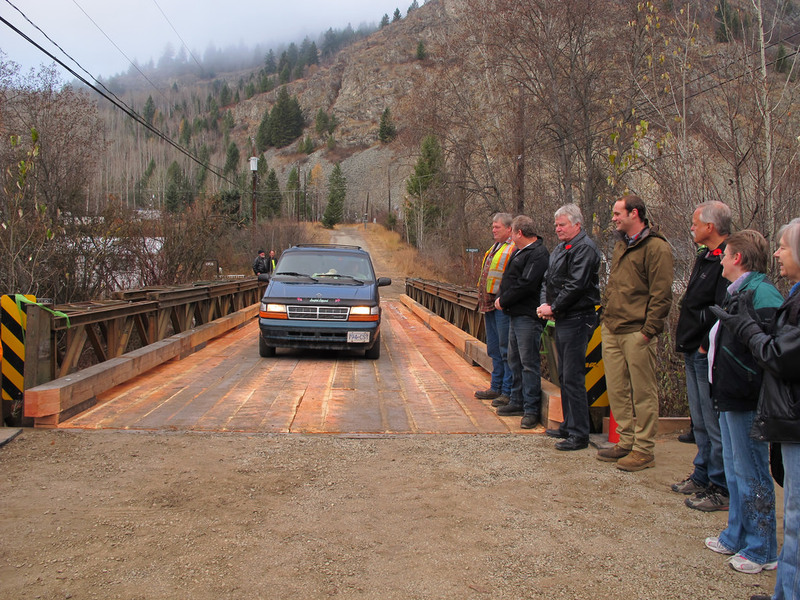 The new structure, which can handle oversize transport trucks, replaced a 61-year-old bridge on Highway 97 north of Prince George. While the new bridge was built, the older bridge was moved 20 metres (60 feet) downstream to serve as a detour in November 2016. You can watch the eight-hour move happen in less than two minutes in this video. Ah…there are blue skies above, and clear waters running below the Malakwa Bridge. 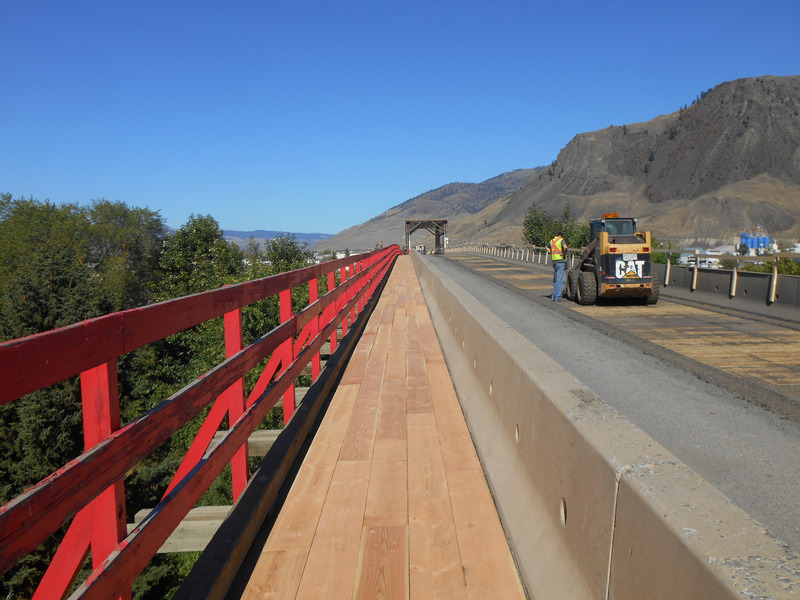 In July 2014, the governments of Canada and British Columbia jointly funded the four-lane Malakwa Bridge on Highway 1 to replace a two-lane bridge. 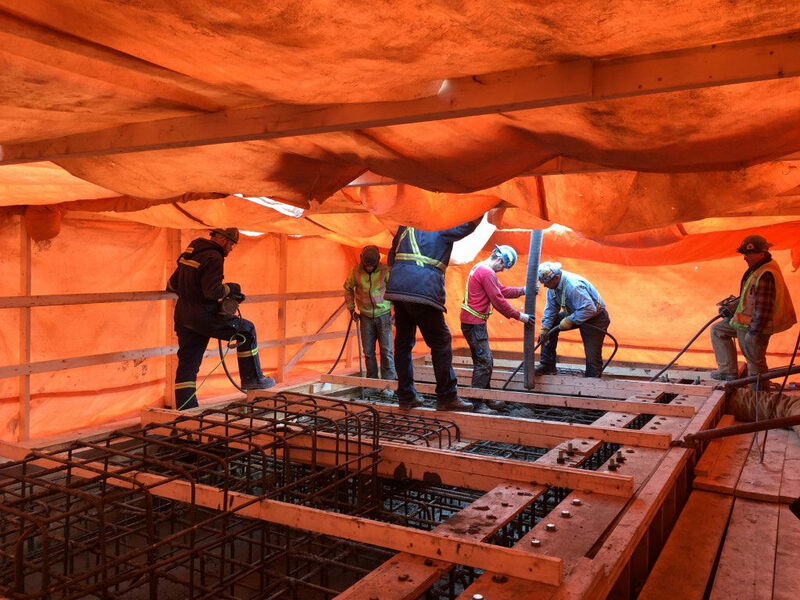 The project included four-laning of 2.7 kilometres of highway, about 20 kilometres east of Sicamous. The new crossing, completed in June 2016, better handles increased traffic and accommodates wider and higher trucks. Small bridges can make a big difference – something recognized by the Greenwood community, which came together for the opening of their new Louisa Bridge in November 2011. The first driver over the bridge was a long-time resident who lived next door – a passage witnessed by community members, local representatives, the contractor, and our ministry’s district operations manager. Emcon Services and the ministry volunteered expertise and materials to help the City of Greenwood remove the previous Louisa Street log bridge, which was deteriorating, and install the new one, which leads to the Trans Canada trail system and the city maintenance yard. Welding and repairs on the Taylor Bridge had to be done at night in September 2015. 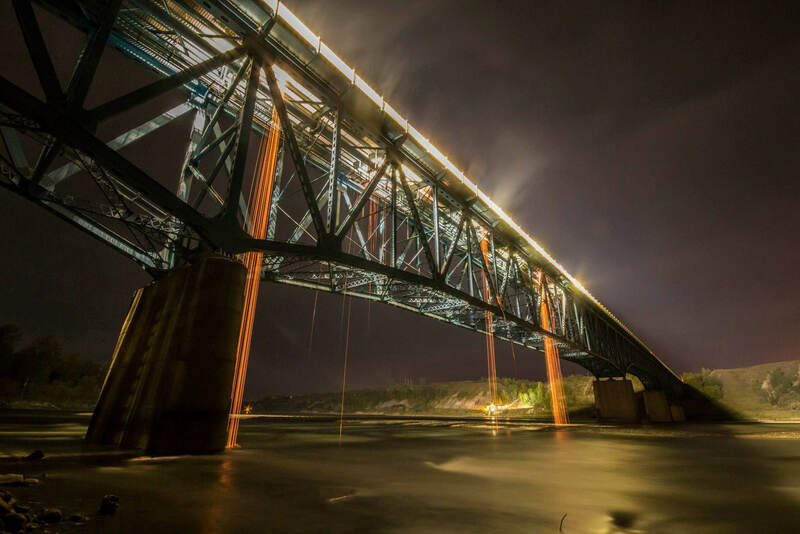 Fort St. John photographer Darcy Sawchek shared this spectacular image with us. The bridge south of Fort St. John undergoes yearly maintenance work, including welding and replacement of parts of the deck. As of spring 2018, we’re looking into long-term options. We expect to complete our engineering review by the end of summer 2018, and will assess the findings to choose the best option going forward. This photo offers a long perspective of the pedestrian crossing on Red Bridge, which is on Mt. Paul Way near Highway 5 in Kamloops. The bright red railing sets off the maintenance and resurfacing work completed in fall 2014. 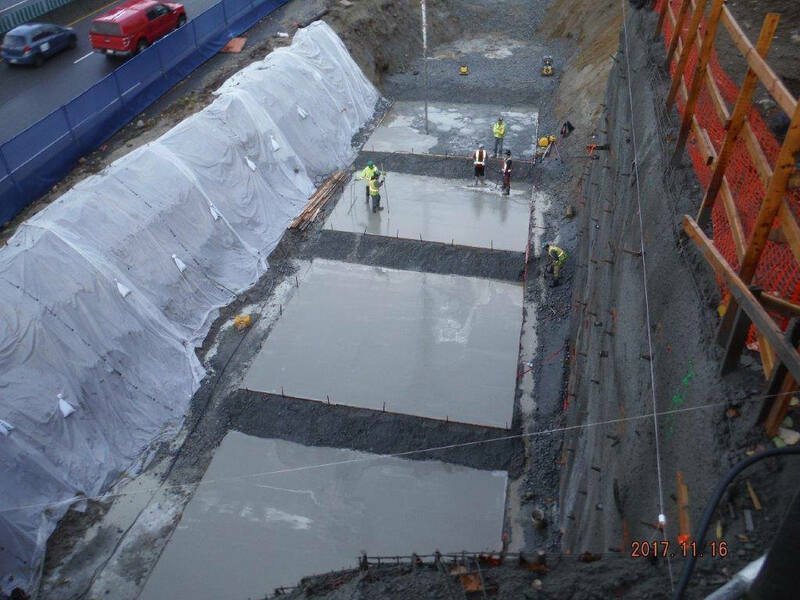 These crew members look miniscule while pouring and placing the concrete mud slab for a massive abutment on Nov. 16, 2017. The work is part of the Mountain Highway/Lynn Creek, Keith Road/Seymour Parkway and Main Street/Dollarton Highway interchange improvements being made to boost safety and traffic flow on Highway 1 and the Lower Lynn Interchanges, through North Vancouver. 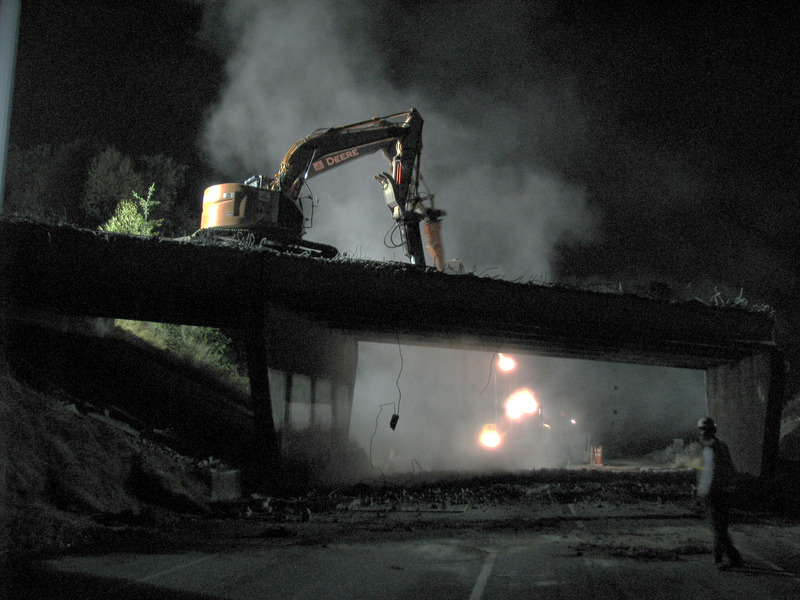 This dark, moody shot captures crews demolishing the 248th Street Bridge at night on Aug. 17, 2013. The bridge was being replaced as part of the construction of a new truck climbing lane on Highway 1 between 232nd and 264th streets in the Township of Langley. North Vancouver traffic had to keep flowing when the most recent Capilano Bridge was under construction, so the old bridge was shifted over to serve as a detour. 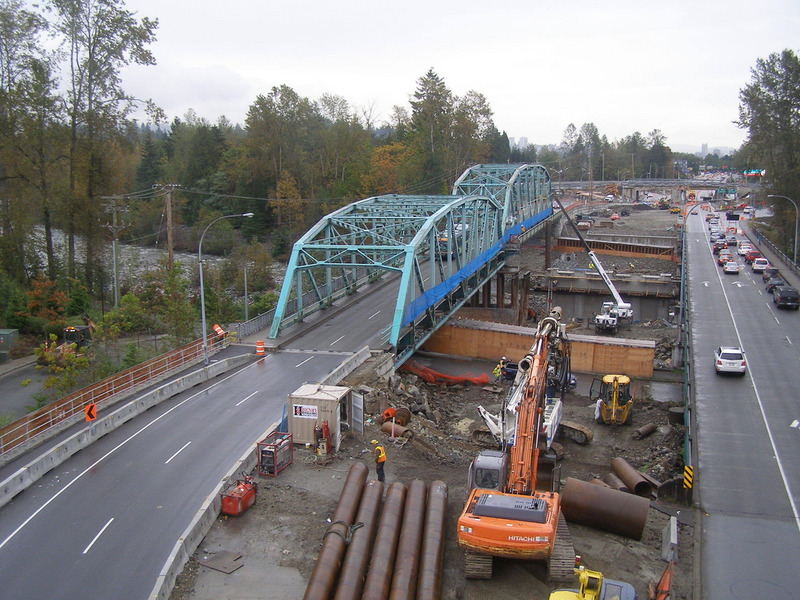 The new bridge was opened to traffic May 20, 2011; the old bridge was removed, and the site rehabilitated. Bonus time-lapse video of the move here. 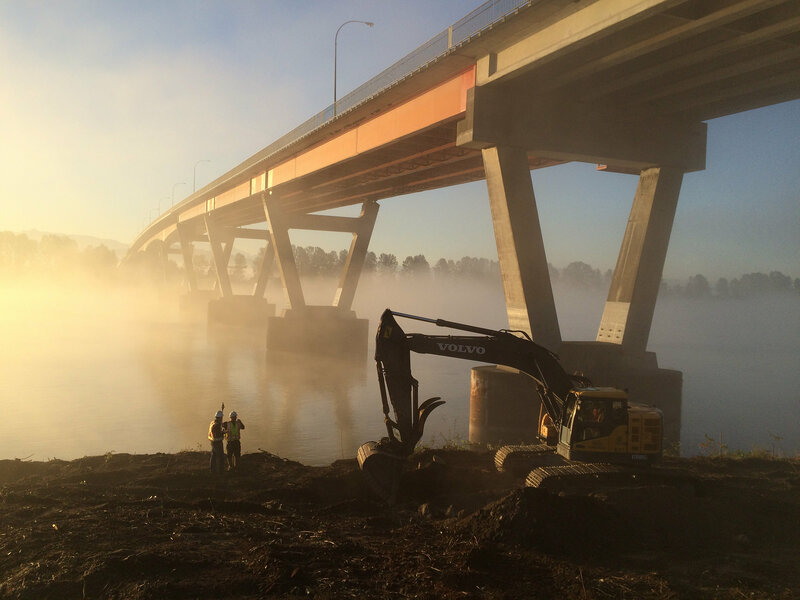 In January 2016, the final touches were completed on a seismic safety retrofit to the Mission Bridge, which crosses of the Fraser River on Highway 11. The bridge is a critical link between Abbotsford and Mission. Check out our Flickr collection for more dramatic photos and stories. The photo of the Abby/Mission Bridge…gorgeous! I cross it regularly as an Abbotsford resident. Yes it is a critical link as the other crossings are the Golden Ears or the Rosedale bridge on highway 9. Although…the Fraser Valley is quite the scenic area when the the weather cooperates.